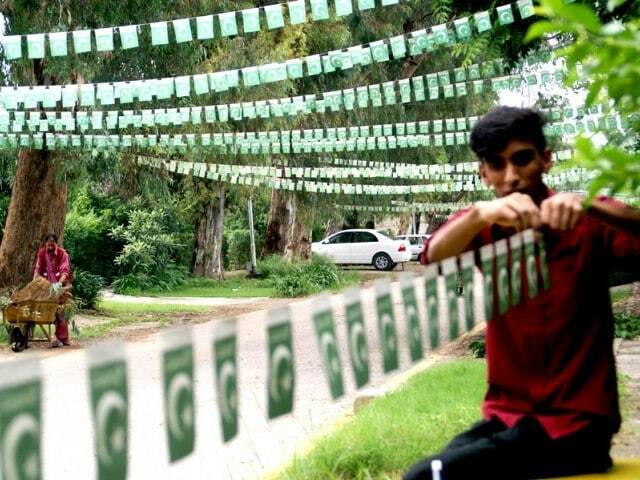 Pakistan’s Independence Day is celebrated with great zeal every year, and this year will be no different. While everyone’s busy in the preparations for the 70th Independence Day which will be celebrated on Monday, the country’s printing industry is skyrocketing. Everyone loves to celebrate this auspicious day, right? And what better way to celebrate it than by printing all sorts of patriotic messages and flags and whatnot, to display the love for the country. We take a look at how the country’s printing press is rising up to the challenge as Independence Day approaches. Mohalla Jahingi is known as the center of the printing business in Peshawar. The hub for printing is getting a huge number of printing orders from all sections of society, which has made them work until late night these days. An atmosphere of national enthusiasm runs through the narrow streets of this area. Those with printing-related skills are in high demand as workload demands more hands to meet the orders. 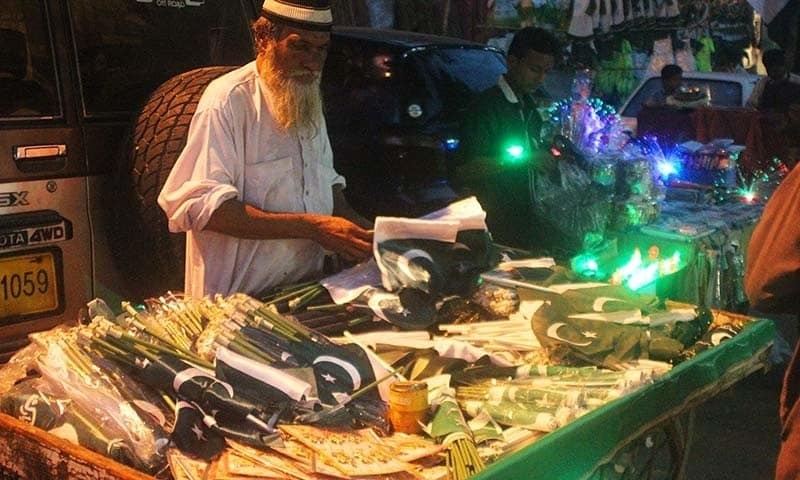 Adeel Khan, a printer from the area has expressed his joy on this extraordinary surge in demand for the stuff like Quaid’s portraits, National Flag, stickers with pictures of Minare Pakistan and Islamia College, badges, colored masks etc. Everyone, especially the young are purchasing different items to decorate their homes, bikes, cars and even offices. The additional workforce has already been hired to meet the demand. Street sellers add another dimension to this national fervor. They have grabbed this opportunity to make the profits from the material coming out of the printing machines. New stalls have mushroomed in different areas like Qissa Khawani Bazaar, Ghantaghar, Khyber Bazaar, Fuwara Chowk spreading the colors of Green everywhere. Various political, social, educational, and literary events have been planned in different areas to honor the event. 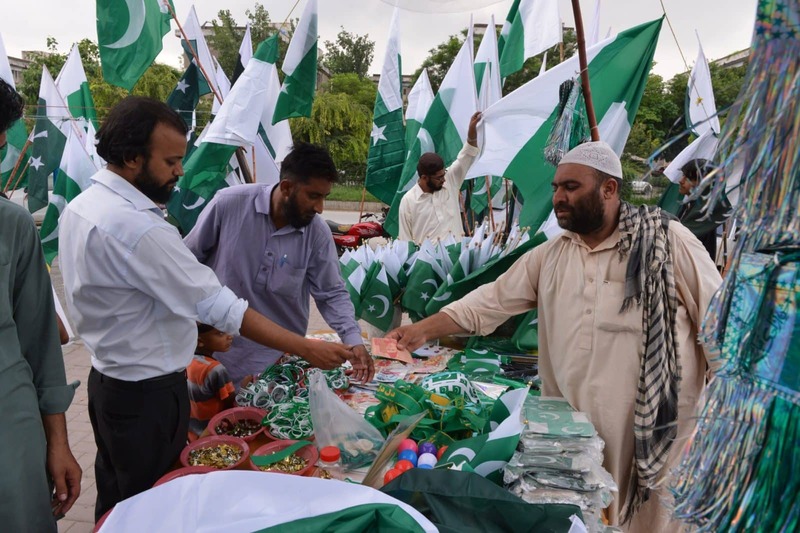 As the Independence Day is approaching near, the preparations have increased manifold which shows the patriotism of Pakistanis toward their beloved homeland. kyun yeh ab bhi ghar k aatay se glue bana k chaip deta hai?